My “big project” is to complete a full size arcade cabinet, running a more fleshed-out game which I will release simultaneously for the iPhone. This week I completed a crucial first step – procuring the actual cabinet itself as well as a space to work on it. The cabinet I’m using is one that my company had previously customized for a permanent install at a hotel bar in Manhattan. 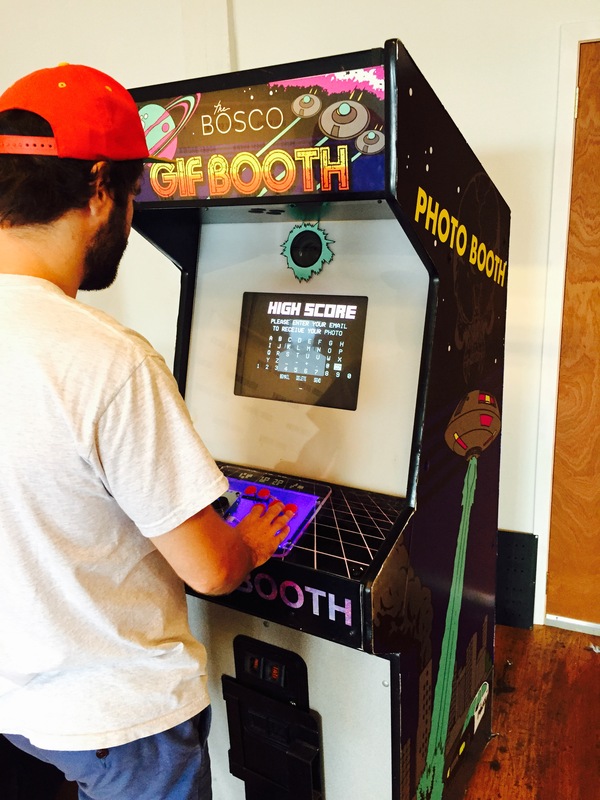 We made it look like an arcade game, but it was actually a photo booth with retro controls. Originally, it was a cabinet for Metal Slug 2, which was one of my favorites growing up.